A passionate Gold Coast University Hospital nurse has taken out the 1029 Hot Tomato Gold Coast Nursing Award for April 2018. 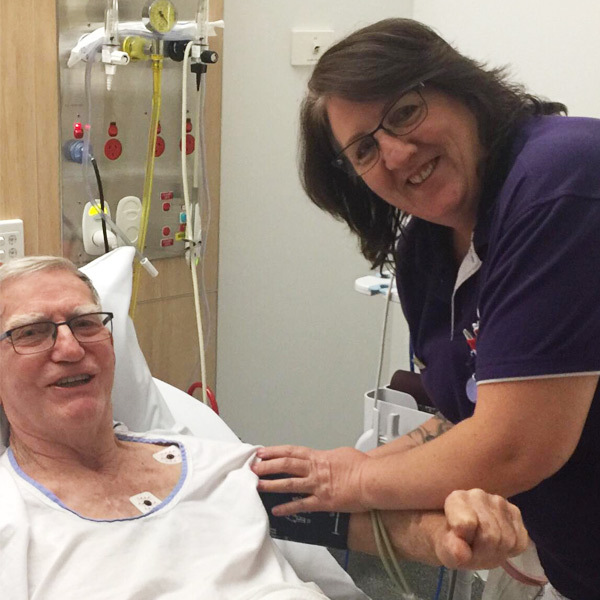 Janette Harman has been a nurse since 2004, and told myGC she loved every aspect of the job. “I just love everything about it. I love helping people when they are at their most vulnerable and frightened, and I love seeing most of them go home to carry on their lives. I also love my colleagues – I just couldn’t imagine doing anything else,” she said. Janette told myGC she wanted to be a nurse from the age of 6, after spending a lot of time in hospital. “I nearly died when I was 6 after my appendix burst, so I had to spend a lot of time away from my family in hospital while I recovered,” she said. Along with a certificate, Janette wins $250 and is now a finalist in the Annual Awards where she could be awarded the annual winner’s cash prize of $5,000.